JAMA recently published an article on using mainstream translation software in a health care setting, which was also picked up by Gizmodo. Researchers used Google Translate to translate emergency department discharge instructions prepared in English into Spanish and Chinese. The results were then retranslated into English by bilingual translators, and lo and behold Google Translate handled the lion’s share correctly—92% of Spanish instructions were rated accurate. Not surprisingingly, Chinese was more difficult and about 81% of instructions were spot on. In each language, a small percentage of the faulty translations were deemed clinically significant with the potential to cause harm. The punchline: “While GT can supplement (not replace) written English instructions, machine translated instructions should include a warning about potentially inaccurate translations.” The study also noted that the authors “cautiously support its use” in a clinical encounter. Medical interpretation is the trickiest and most nuanced form of interpretation—we see it every day. To make it more complex, interpretation (the spoken word) and translation (the written word) are different disciplines and the danger is that the public most often doesn’t recognize there is a difference, nor do most clinical personnel who use those words interchangeably. Interpreters are often painting a picture of understanding vs. doing word for word translation, because in many languages a phrase will not directly translate into the same meaning in the other language. In addition, the context or the situation in which the words are spoken matter and needs to be taken into account. For example, the English-language phrase “my wife is going into labor” becomes “mi esposa va a laborer” in GT (pictured), which, translated back into English is more like “My wife is going into work.” The contextual meaning is lost. Or when a Spanish speaker complains of “mal de orina,” the literal interpretation of the words they are saying is “bad urine,” but in context a skilled interpreter will recognize they may be trying to say they have a UTI. Even short phrases present a huge potential for error. “Why should I care?” is most often the next question to be asked when considering and how Google Translate or other computerized translation tools might affect outcomes. We all should care for many reasons. First off, we need to assume that a clinician reading JAMA may start using such a tool for all their interpretation and translation needs even though it hasn’t been recommended for such usage. This would lead to significantly increased risk for the patient, as well as potential physician liability. We also need to contend with the fact that no one is QA-ing or supervising tools like Google Translate in the field to measure its effectiveness as has been done in this study and therefore “miles may vary” in terms of its true accuracy and effectiveness. The study simply tested Google Translate’s ability to handle a sentence or two of fairly clear-cut instructions. An error rate that high on straightforward text is something to be concerned about. It’s a far cry from interpreting through a full medical exam or procedure. Cloudbreak’s average provider/patient video interactions last 10 minutes, and they benefit from non-verbal cues oftentimes communicated. Furthermore, nearly 20% of our encounters are in American Sign Language for the Deaf and Hard of Hearing community, and browser-based transliteration simply can’t address that. We get it – care teams may like the idea of using a computerized tool such as Google Translate because it’s fast is available at their fingertips, but that’s the experience that Martti users have always had. But even more important is the quality of the interpretation. Martti is health care-specialized and it’s underpinned by interpreters who are not only specially trained and certified by CCHI, but also participating in the US health care environment rather than being based in another country. In many other nations, the idea of things like co-pays or certain advanced technology may not exist, so U.S.-based interpreters are not only adept at handling the language piece, but also speak the language of health care as its delivered here. Certified interpreters unfamiliar with these phrases would know to look them up and apply context, or perhaps ask the speaker for clarification. That’s what effective (and ultimately accurate) medical interpretation looks like. We believe in the power of technology and its power to solve thorny problems such as building a virtual medical interpretation tool. We love Google and use it every day. That being said, the technology isn’t quite there yet to “cautiously support its use” for the root of good healthcare: communication. As a patient, would you want to be one of the statistics of the studies acceptable error-level window? As a doctor, would you want to put your medical license at risk or see one of your patients harmed? Currently Martti offers our health care partners the ability to instantly access at the push of button Certified Medical Interpreters in U.S.-based language centers who speak over 250 languages, delivered over a reliable and scalable telemedicine infrastructure. 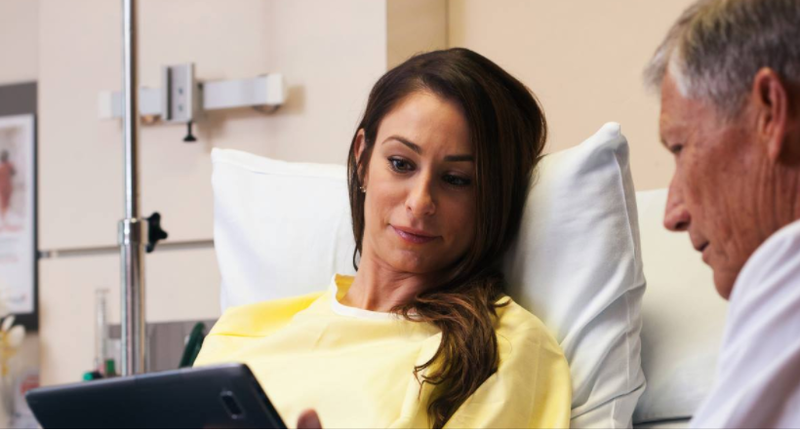 We believe this is currently the gold standard offered in the market and remain committed to building patient and provider trust through our more than 85,000 encounters per month at over 1,000 health care venues. What does research show is the strongest cause for non-compliance with medical advice, leading to poor quality care, among multi-cultural populations? Is it cultural differences? Is it finances? Is it lack of will? No. These may be factors, but they are not the primary cause. The leading cause is actually something even more basic and human. And with today’s medical technological advancements, very easy to remedy. The link is communication — or rather a lack of ability to effectively communicate. According to the most recent U.S. Census, 60 million Americans speak a language other than English in their homes, including ASL (American Sign Language). Over 200 languages are commonly spoken in the US, with Spanish, Vietnamese, French and German and several Chinese languages leading the way. In most cases this is their first and best understood language. 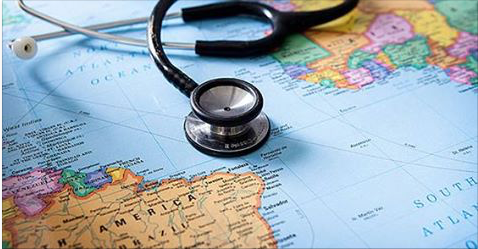 This language barrier contributes to poor outcomes among these individuals who often speak English well enough to function in a primarily English-speaking society, but may lack the ability to understand “doctor’s orders”. This is but one of the many healthcare disparities that exist driven by social (Social Determinants of Health or SDoH), economic and geographic differences within our nation. Interestingly enough, it is exactly these type of disparities that are a primary driver of chronic illness. Free and open communication is, not only the #1 diagnostic tool a provider has in caring for a patient, but it is also the cornerstone of a satisfying patient and provider encounter. In a world of increasing technology and faceless diagnostic testing, it is our words that make us human. They tell the story of our illness (where does it hurt? ), help avoid complications (are you allergic to any drugs?) and drive our recovery (take this medicine 3 times per day for 2 weeks). When patients have chronic diseases like diabetes, hypertension, COPD, Ulcers and even Cancer, you know, that your ability as a medical professional or administrator to help them is more dependent on what happens outside the clinic or hospital than what happens within. The gravity of the condition. Required dietary changes as needed. How to properly take their medicine. When to return for a checkup. You have undoubtedly heard of “telemedicine” or “telehealth”. You may be excited with the improvements it can bring to healthcare. Or you may have reservations about some of the technologies that are being considered. Telemedicine allows us to shift the place space relationship that we have grown accustomed to in traditional healthcare. I view it as a game changer, especially when it comes to population health strategies around chronic conditions. Telemedicine allows us to shift the place space relationship that we have grown accustomed to in traditional healthcare. Patients can now perform their routine checkups from the comfort of their home or office. This prevents the waste of time and costs associated with travel to and from the doctor’s office or missed productivity from your workday. In a recent study by the Veterans Administration, Telemedicine resulted in an average travel savings of 145 miles and 142 min per visit. This led to an average travel payment savings of $18,555 per year. Telemedicine volume grew significantly over the study period such that by the final year the travel pay savings had increased to $63,804, or about 3.5% of the total travel pay disbursement for that year. Kaiser Permanente recently reported that they are performing a majority of their patient visits virtually. We define population health at Cloudbreak Health as empowering patients to receive care where, when and how they want it. This becomes even more important for chronic conditions (the treatment of which is the primary driver behind the more well accepted definition of population health) which tend to impact a patients life on a daily basis. The latest remote patient monitoring tools allow you track a wide spectrum of data from your steps, to your heartbeat, to your blood sugar level and beyond. Using your phone, tablet or PC, you can have a video visit with your physician where they can check a wound for infection and monitor your breathing. This ability to increase access at a reduced cost, all while remaining HIPAA compliant, represents a tremendous opportunity for patient and provider alike. Feel free to share this or comment below. Join the dialogue with us on Twitter at #HumanizeHealthcare as we try to create a more simple, human and caring healthcare system in our country. In a world that is constantly expanding with the help of technology, it comes of no surprise that the medical field is one of the primary subjects of the technological revolution. Moreover, outpatient care, management, and hospital communication, among many other services, have been organized into their own distinct verticals. While cutting edge innovations such as our very own Video Remote Interpreting (VRI) system, Martti (which stands for My Accessible Real Time Trusted Interpreter), and Carenection, our telehealth delivery platform, certainly make life considerably easier for the healthcare industry, the internalized jargon often associated with them is not always quite so simple. In the healthcare community, telehealth and telemedicine are often seen as interchangeable, though this is not quite the case. The distinction lies in the matter of scope in which telehealth encompasses a broader range of services and telemedicine more directly embodies direct clinical care. In order to learn more about both of these terms and what they mean for you, we’ve taken the time to explore them further. Telehealth and telemedicine are services which are described by members of the healthcare community as technologies that link patients to their providers at every phase of their healing process. It is a simple definition, but when a domain is as large as this, distinctions will occur with terminology. The difference is simply stated as the difference in clinical and non-clinical affairs. But what defines these domains which are broad in themselves? Telehealth is used for electronic communication, management, information, and statistic reading whereas telemedicine is used for treating and diagnosing patients remotely. In some cases, it gets even more confusing with Direct Patient Care sometimes being considered telehealth while e-consult driven physician to physician consultation being referred to as telemedicine. With this distinction in mind, it should be noted that this is not necessarily a universally accepted differentiation. As time goes on, the gap in the distinction lessens as the words merge into a single concept simply describing the evolutionary and crucial role of technology such as LAN’s video remote interpreting service, Martti, in the field of healthcare. We believe that the provision on an interpreter is of great value to a clinical consult. Any provider will tell you that the primary driver behind any appropriate diagnosis depends on communication between patient and provider. A proper patient and family history, discussion of current symptoms, and understanding of the medications the patient may be on help a provider narrow their focus and pinpoint the key determinants of a diagnosis. In fact, just like cardiology, dermatology or neurology, we will sometimes push the limits of good grammar and refer to what we do as “language-ology” as communication is fundamental to every patient – provider encounter. When it comes to the telemedicine vs. telehealth debate, at the present time the distinction is still recognized by many healthcare professionals. We believe knowledge is power though and everyone should be able to know the definition of such jargon since healthcare is a part of everyone’s life in some way, shape or form. Thanks to telemedicine, healthcare disparities can be addressed using technology to connect patients to providers for clinical encounters. Thanks to telehealth, people are able to research their diagnosis or receive text alerts or coaching that can guide their care. Telehealth opens up communication and learning where telemedicine assists in its application clinically. In both cases, the communication between doctor and patient is made much easier thanks to technological innovations. The difference between telehealth and telemedicine is, afterall, a small distinction. What is important for us all to realize is that the adoption of these technologies in medicine will continue to allow us to humanize healthcare and benefit medical personnel and patients alike for years to come. To simplify things, shouldn’t we just be calling it “healthcare” anyway? Help us keep the dialogue going. Share your thoughts in the comments or join the conversation on Facebook and Twitter by using the hashtag #HumanizeHealthcare. How many times have you heard that before? It’s easy enough for companies to say it, or pay lip service to their mission, but living your mission every day with every customer is an entirely different thing. Our mission to, “Improve healthcare by eliminating language and cultural barriers,” is one we take to heart, because with each and every patient – provider encounter, we are there, helping a scared patient understand what is happening to them, empowering them and their healthcare provider to take control of their care, build a trusted relationship and improve their outcome. Our stories from the field are everyday stories of breaking down barriers, overcoming obstacles and well, triumph. Triumph over the overwhelming adversity that patients and providers face when they can’t do one of things most fundamental to being human: talking to each other. We are happy to share these stories to bring awareness to the great work that our interpreters do each and everyday on the front lines of medicine. Thank you for allowing us to share what inspires us to continue to do more, improve and deliver our mission with the same commitment to excellence that our clients have grown to expect from Language Access Network. We hope it inspires you to do the same. Ron, a Nationally Certified Medical Spanish language interpreter for LAN, was connected in to assist doctors with the delivery of a baby. He worked closely with the mother and with Dr. Adam Kansagor from Aultman University. The woman did not speak any English. Ron played a critical role in the delivery of the baby due to the quality training he received. This is due in large part to the training that qualified him as a medically trained interpreter for Language Access Network. These days, it is critical to know that you are working with a Nationally Certified Medical interpreter. Communication can be seriously impaired if a health care provider is unaware of, or insensitive to the role of culture norms. Miscommunication can increase the risk of medical errors, inappropriate treatments, and emergency room visits. A study by the American College of Emergency Physicians in 2012 analyzed interpreter errors that had clinical consequences. They found an error rate of 12 percent as opposed to 22 percent. For professionals who have more than 100 hours of training, these errors dropped to 2 percent. We’re proud of the fact that our spoken language and American Sign Language interpreters complete Bridging the Gap, a nationally recognized 40 hour Medical Interpreter training program. Additionally, they are required to take a minimum of 10 hours of continuing education and specialty training each year. This doesn’t include the countless hours of training that go training these interpreters to be prepared for video as well as the specialty trainings our interpreters undergo on a regular basis for things like pastoral care, mental health, pediatrics, and others. For us, the proof is in seeing interpreters like Ron work with Martti™ alongside medical practitioners to assist with earning their patients’ trust. Thanks to Martti™, our interpreters are able to ensure that the doctors can better understand their patient’s symptoms, medical history, make a more accurate diagnosis, and provide safer, more precise, more complete care. To keep up to date on how you can reduce risk, diagnose accurately and save lives with Martti.